One of the craziest operatic comedies ever written. Rossini’s razor-sharp musical wit delivers in riotous technicolour. Dashing Count Almaviva is in love with the feisty young Rosina. But her guardian, Dr Bartolo, is determined to marry her himself. 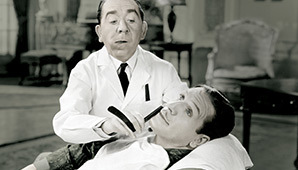 Cue Figaro – also known as The Barber of Seville – with a series of hare-brained schemes, one of which just might work. A New Zealand Opera co-production with Opera Queensland and Seattle Opera.